Since 2013, the number of Houston breweries has exploded and it means that thirsty beer enthusiasts don’t have to stray far to spot a brew-pub near their corner of town. Here, you’ll find some of the oldest craft breweries in Texas as well as some fresh-faced brewers aiming to cement their place among the growing list of top-notch Houston breweries. 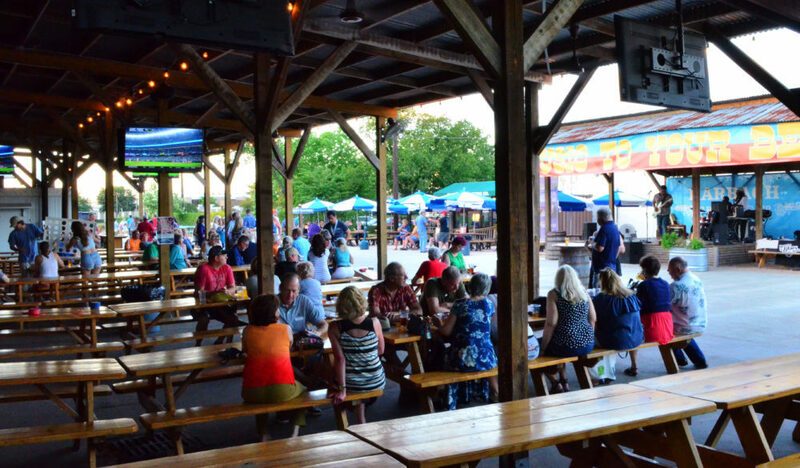 In addition to the most beloved and best breweries in Houston, we’ve also rounded up all notable destination breweries in the communities and cities surrounding Houston, including Conroe, Katy, Pearland, Webster, and Galveston. For a deep dive into each brewery—including recommended and signature beers, visiting tips, photos, operating hours, address and directions, and more—simply click the links for our in-depth, detailed descriptions of each of these notable Houston breweries. Beneath each neighborhood and community header below, breweries are listed in alphabetical order. 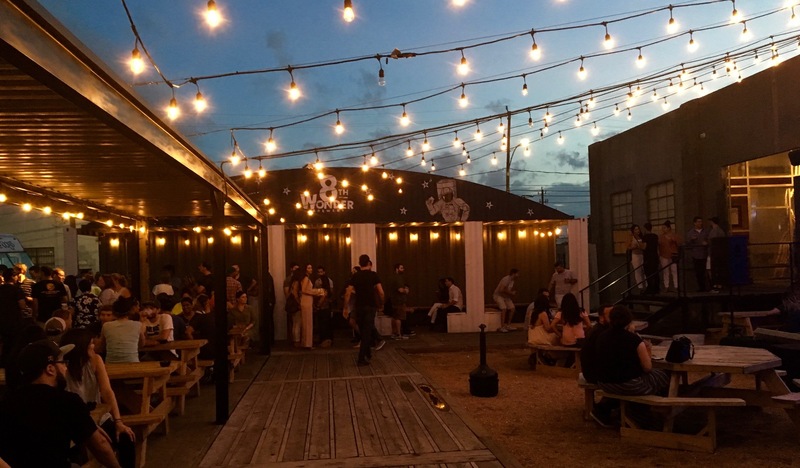 If Discovery Green is Houston’s front lawn, then 8th Wonder Brewery serves as its de facto backyard, filled with repurposed shipping containers, zig-zagging strings of lights, and an eclectic mix of H-Town representation. It’s also home to artist David Adickes’ 36-foot tall Beatles sculptures and is neighbored by his iconic We Love Houston sign. 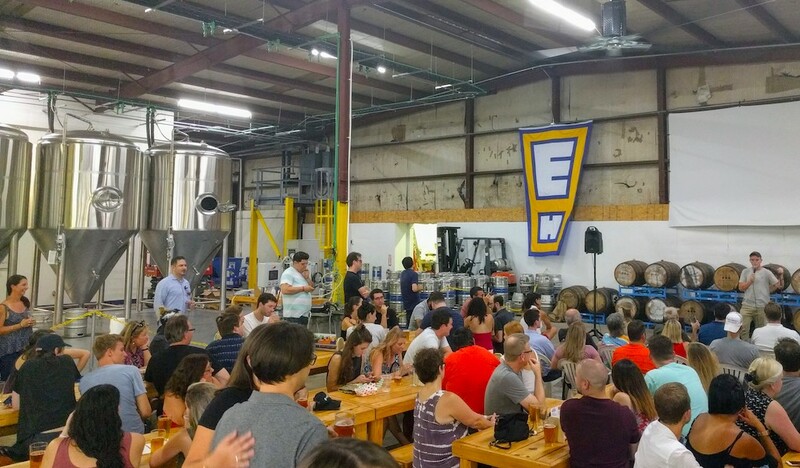 The Houston proud brewery takes its name from the moniker often ascribed to the Astrodome, and features a popular bevy of Houston-centric beers, including Dome Faux’m, Weisstheimer, and more. Because of its prime location, just east of Downtown, 8th Wonder has also become an established pre-game stop before any number of Rockets, Astros, Dynamo, and Dash games. 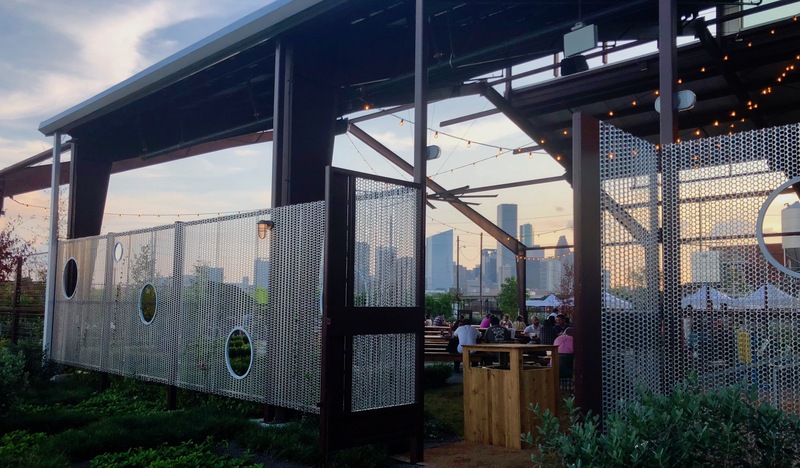 One of the proudest Houston breweries, 8th Wonder is a must-visit for those in search of delicious beers and welcoming faces that represent the city. Click here for our deep dive into the brewery, beer recommendations, and tips for visiting; or click here to visit 8th Wonder’s official site. The oldest craft brewery in Texas and a pioneer of Houston breweries, Saint Arnold was founded by Brock Wagner in 1994. Never one to rest on its laurels, Houston’s signature brewery recently debuted a massive expansion and renovation that invites fans of their national award-winning brews to lounge in a vast beer garden, festooned with strings of lights spanning out from the partially covered outdoor hall and extending out towards lawn games of all types. 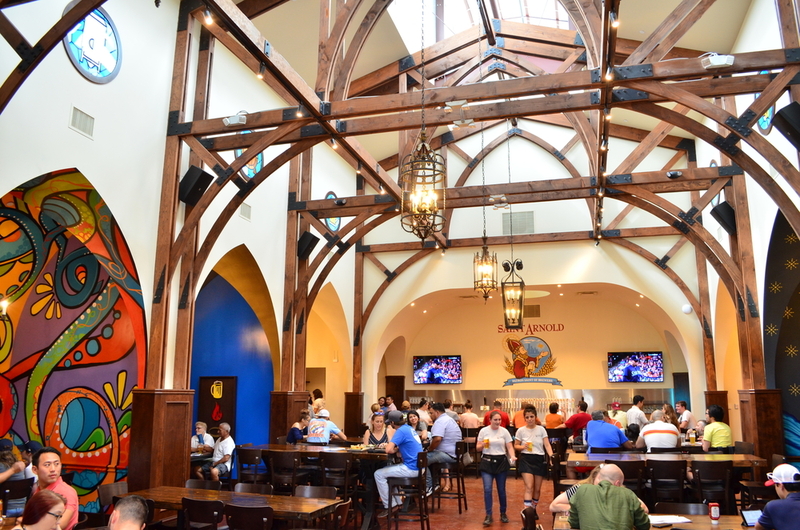 The garden offers sweeping views of Downtown, and the indoor, cathedral-like beer hall pays homage to the patron saint of beer with original, custom frescoes painted by Houston muralist Gonzo247. You’ll also find beloved Houston art cars on display in the covered garage. For the uninitiated, Saint Arnold is a Houston legend and a brewery that shouldn’t be missed. Its new expansion brings a completely new and unique offering to Houston. Click here for a deep dive into the brewery, beer recommendations, and tips for visiting; or click here to visit Saint Arnold’s official site. 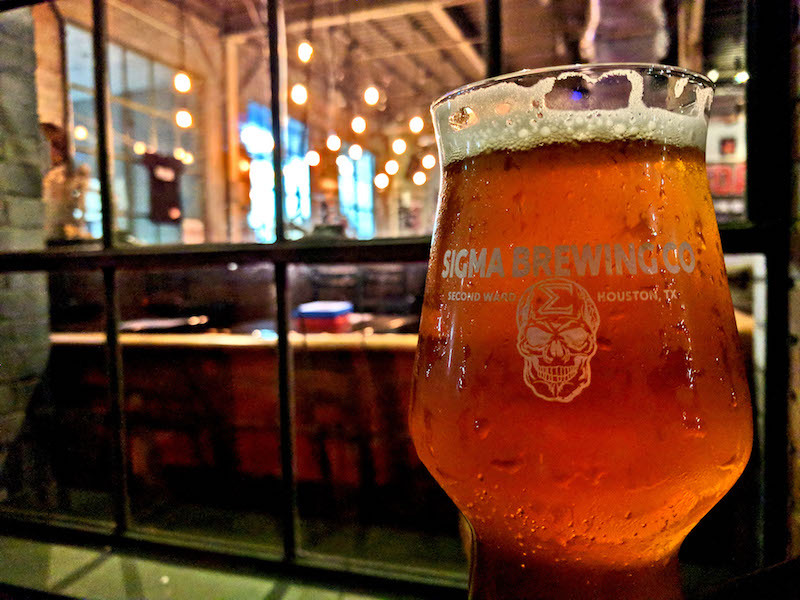 More bar than brewery (you’ll find no token exchanges here), Sigma Brewing Company offers inspired beers that aren’t always easy to find in the burgeoning scene of Houston breweries – and for incredibly friendly prices. The inventive styles and aggressive use of hops on display makes for a clear signal that Sigma’s passion for craft brewing runs deep. Click here for a deep dive into the brewery, beer recommendations, and tips for visiting; or click here to visit Sigma Brewing Company’s official site. Brash Brewing isn’t trying to impress you, but it’s hard not to walk away rewarded by the aggressively hopped IPAs and some of the best stouts this city has to offer. Their warehouse location emanates heavy metal music and their huge assortment of arcade games makes it a friendly spot for kids and adults alike. Click here for a deep dive into the brewery, beer recommendations, and tips for visiting; or click here to visit Brash Brewing’s official Facebook page. Transformed from a vast food distribution warehouse, Eureka Heights Brew Co. offers spacious, industrial digs that invite guests to come sample their session-friendly beers and hang out amongst friends. Click here for a deep dive into the brewery, beer recommendations, and tips for visiting; or click here to visit Eureka Heights’ website. 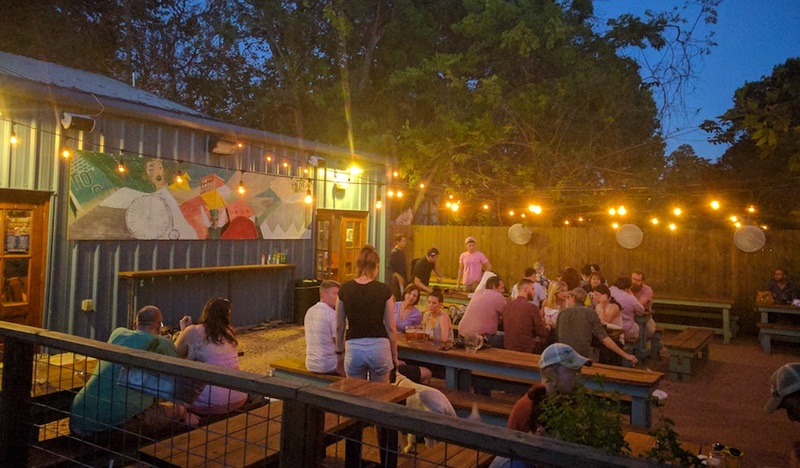 Nestled in a Great Heights neighborhood, this Houston brewery and bar is a down-home casual atmosphere, filled with tables and plenty of games to keep the laughs (and beer) going. Outside, Great Heights Brewing Company‘s small patio and instantly ‘grammable mural makes for a popular photo opportunity. Click here for a deep dive into the brewery, beer recommendations, and tips for visiting; or click here to visit Great Heights’ official website. In a few short years, Karbach has become one of the biggest names among Houston breweries and is well equipped to provide a polished experience to beer enthusiasts. 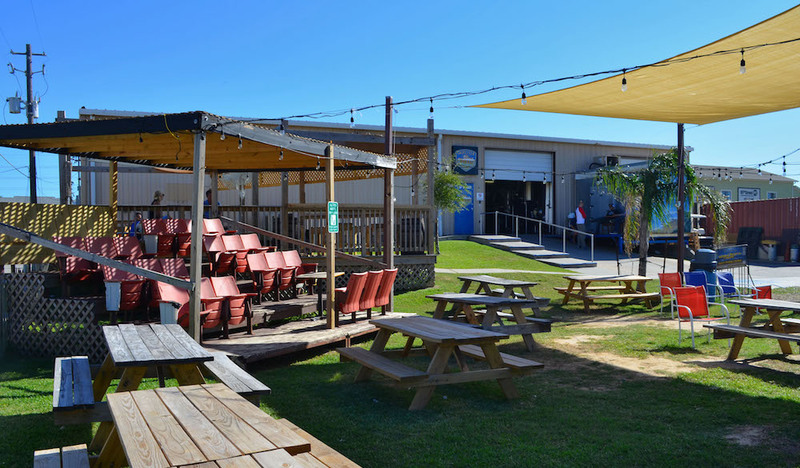 Whether you drop by for the live music, the restaurant menu, or the hoppy goodness on tap, you’re in for a robust brewery experience at Karbach Brewing that is seldom found elsewhere around town. 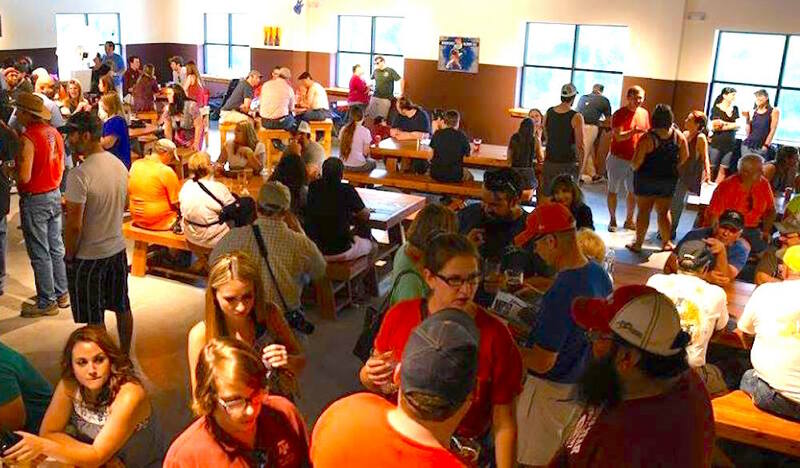 Click here for a deep dive into the brewery, beer recommendations, and tips for visiting; or click here to visit Karbach’s official website. Spending your time at Town in City is less about seeing how the beers are made and more about enjoying a finely-crafted beer with friends as well as those from the community that it represents. 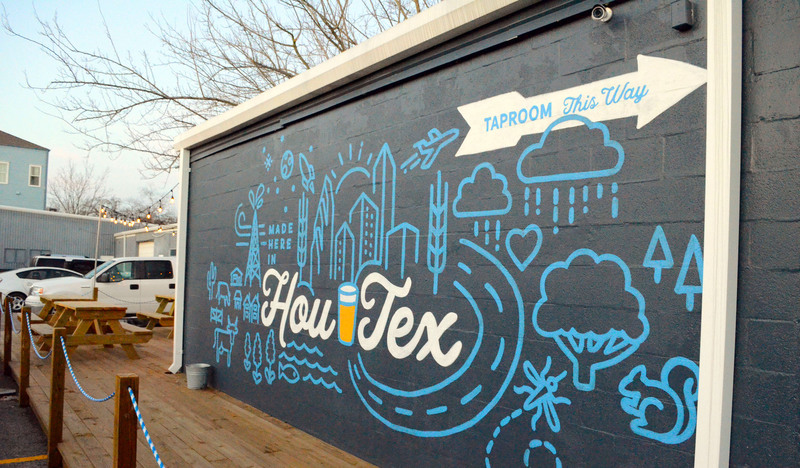 This Houston brewery is all about the small town feel in the big city. Click here for a deep dive into the brewery, beer recommendations, and tips for visiting. 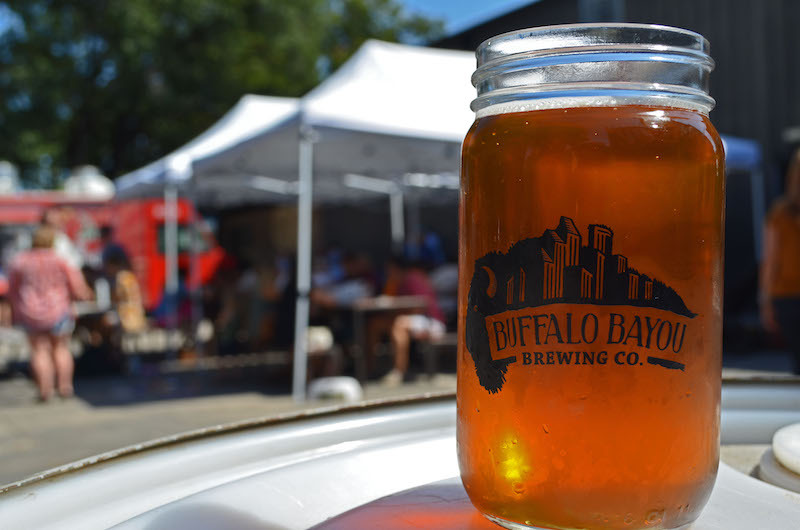 Possibly the most eccentric of Houston breweries, Buffalo Bayou features small-batch beer that might feature pineapples or watermelon one month, and hemp in another. Though you’ll still be able to find a craft mainstay like IPAs or a witbier, you’re just as likely to find beers that are at times aggressive, unexpected, risky, and daring. Buffalo Bayou Brewing is currently preparing to up its game. With its new three-story, 28,000 square foot modern Brewtopia currently under construction at Sawyer Yards, Buff Brew will soon compete as one of H-Town’s most prominent destination breweries. Click here for our deep dive into the brewery, beer recommendations, and tips for visiting; or click here to visit Buff Brew’s official website. 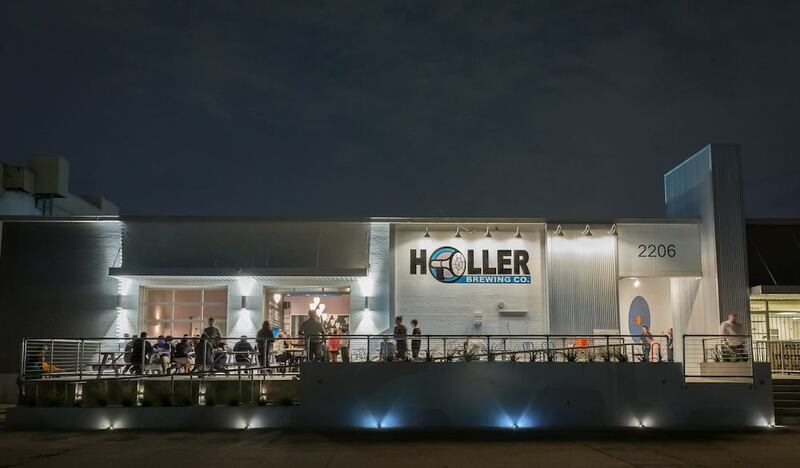 Holler Brewing Co. | Photo courtesy of Holler Brewing Co.
At Holler Brewing Company, you can pair food truck fare with your choice of about ten beers on tap including seasonal brews, special batches, and year-round mainstays. Seating sprawls out from the cozy taproom onto an outdoor patio offering one of the best downtown Houston views from any brewery. Click here for a deep dive into the brewery, beer recommendations, and tips for visiting; or click here to visit Holler’s official website. 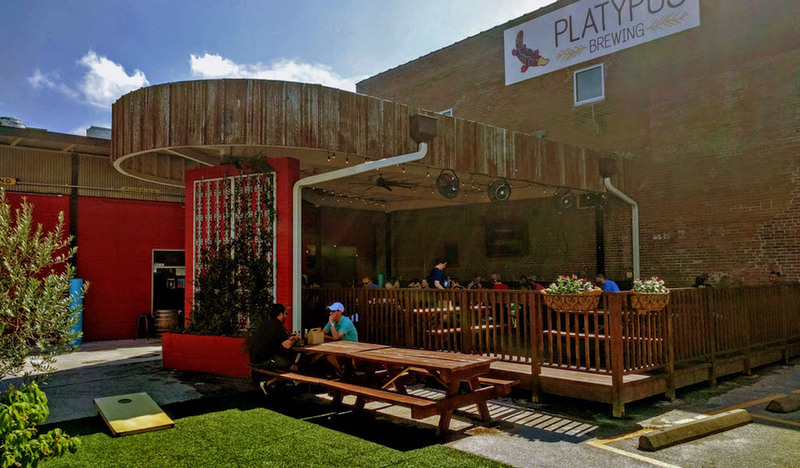 Platypus offers beers crafted with rare Australian hops in styles that shine in Houston’s sweltering urban heat – just as they do in the Outback. Platypus also provides one of the most interesting menus among Houston breweries, including Australian specialties like sausage rolls and meat pies. Click here to see our deep dive into the brewery, beer recommendations, and tips for visiting; or click here to visit Platypus’ official website. 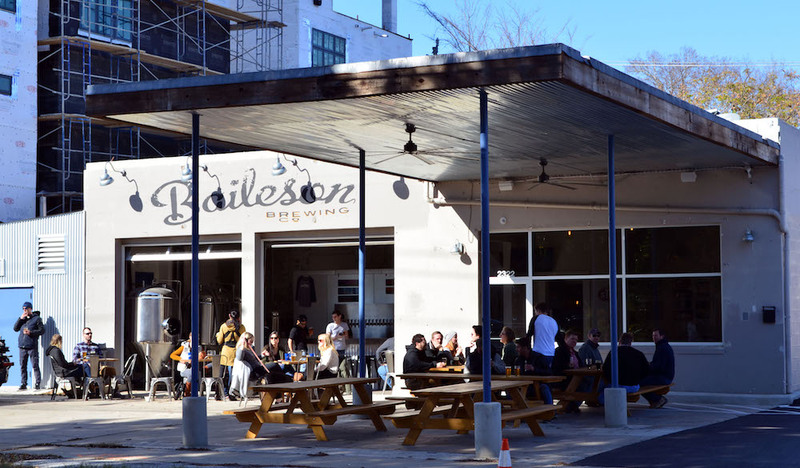 On Fridays and weekends in West U., you’ll find the garage doors rolling up at Baileson Brewing Company, inviting the neighborhood in for a pint of beer. Step up to the bar and you’ll have around six beers to choose from, some of which may rotate out quickly thanks to the agility provided by their small-batch brewing process. Click here to check out our deep dive into the brewery, beer recommendations, and tips for visiting; or click here to visit Baileson’s official website. The small but mighty brewery offers more than a great hangout environment, with crisp, refreshing, and traditional brews that make Under the Radar Brewing an underground favorite amid Houston breweries. 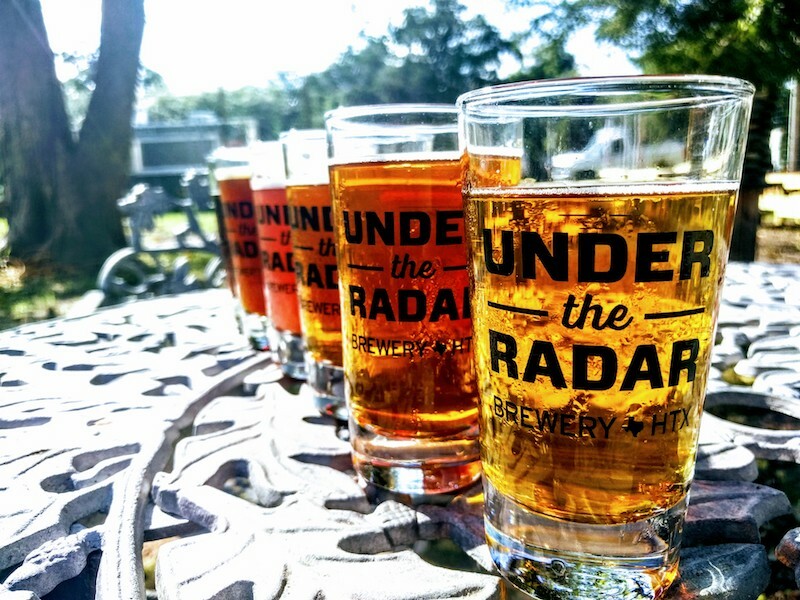 Click here for a deep dive into the brewery, beer recommendations, and tips for visiting; or click here to visit Under The Radar’s official website. In Willowbrook, not far from the north end of the Beltway, 11 Below Brewing is nestled among distribution warehouses, welcoming all with a pint and a seat at its beer garden tables. You’ll find your tap options ranging from four year-round beers to several special and seasonal brews available temporarily. Click here for our deep dive into the brewery, beer recommendations, and tips for visiting; or click here to visit 11 Below’s official website. 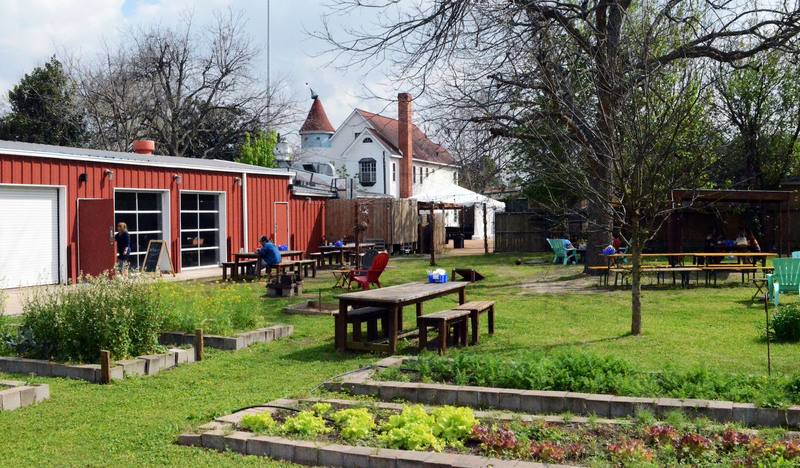 A place unlike other Houston breweries, City Acre Brewing‘s tranquil, expansive yard is dotted by over 60 planters that grows the ingredients for their food menu—and occasionally the beers, as well. From tables to taps and benches, most of what you see at this self-sufficient brewery is hand-crafted by the same minds behind the brews. Click here for a deep dive into the brewery, beer recommendations, and tips for visiting; or click here to check out City Acre’s official website. At Spindletap Brewery, you’ll find folks lining the bar to catch weekend football action, locals looking to have an “ahhhh” moment with a beer and burger, and maybe even a kid’s birthday party in the corner. It’s a welcoming place for all and you’ll find plenty on tap from the silky smooth Boomtown Blonde to the easy finish of the Honey Hole ESB. Click here for a deep dive into the brewery, beer recommendations, and tips for visiting; or click here to visit Spindletap’s official website. Delicious craft brews and welcoming breweries where you can while away a weekend day aren’t limited to Houston city’s limits. You’ll find plenty of notable stops well outside the Loop in some of Greater Houston’s most bustling communities. Nestled among seven acres of trees that stretch 100 feet into the air, B-52 Brewing has created a unique setting that is a highlight on the growing list of local, regional breweries. Just as distinct as their environment, B-52’s extensive menu of one-of-a-kind beers alongside respectable true-to-style brews offer visitors a remarkably wide range of delicious beers to enjoy. Click here for a deep dive into the brewery, beer recommendations, and tips for visiting; or click here to visit B-52’s official website. The second oldest craft brewery in greater Houston, Southern Star Brewing Company has been brewing since 2008 and, since their new taproom opened in 2016, they’ve become a destination brewery in the region. Tucked away not far from I-45 in Conroe, Southern Star offers traditional brew styles that are well-balanced and thirst-quenching especially during the hotter months of the year. Click here for a deep dive into the brewery, beer recommendations, and tips for visiting; or click here to visit Southern Star’s official website. At any given time, No Label Brewing will post upwards of twelve beers on tap, including special releases and seasonal varieties that range from brewery staples to pale ales with a touch of smoked hatch chilies. 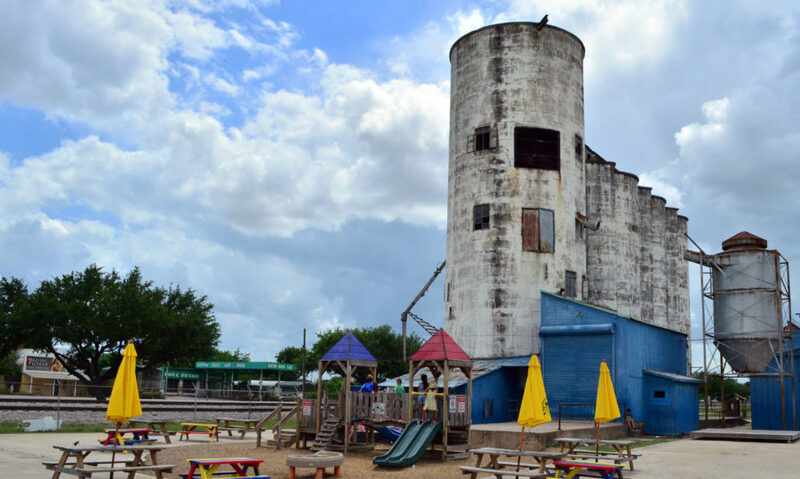 With various outdoor seating areas, a children’s playground, and interesting, unused structures, this is a brewery with a unique atmosphere that’s perfect for kids (and their parents). Click here for a deep dive into the brewery, beer recommendations, and tips for visiting; or click here to visit No Label’s official website. The taproom Bakfish Brewing | Photo courtesy of Bakfish Brewing. Bakfish provides a full spectrum of ales and lagers starting with their five flagship beers and a full menu of seasonal rotations. 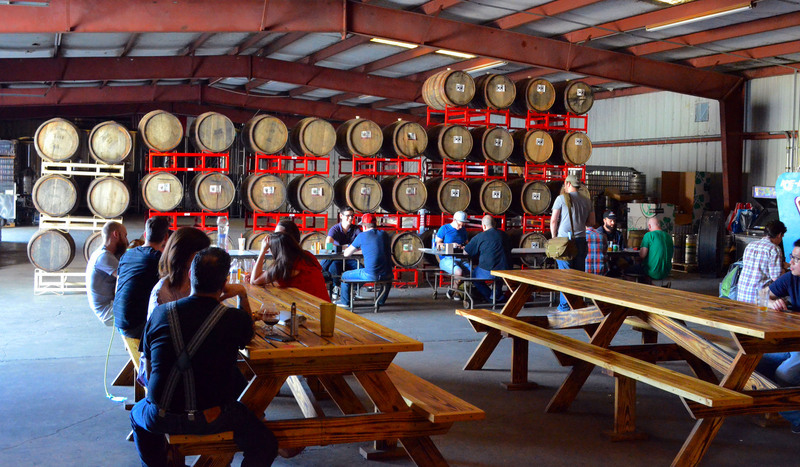 With several rows of picnic-style seating in and outside, you’re sure to find a spot at this burgeoning microbrewery south of Houston. Click here for a deep dive into the brewery, beer recommendations, and tips for visiting; or click here to visit Bakfish’s official website. 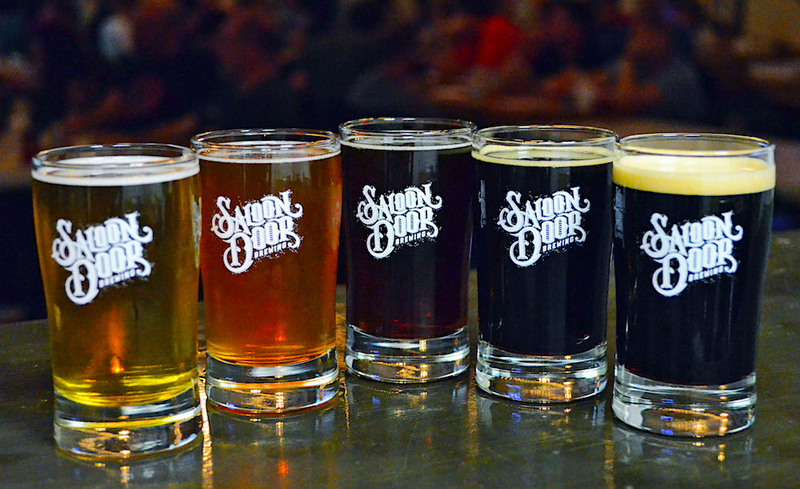 Saloon Door Brewing pours pleasing pints that you’ve come to expect from across the brewery spectrum, but they excel when exhibiting their creativity in pints like their Peanut Butter & Chocolate Milk Stout, Catty Corner Cream Ale, and Strawberry Milk Stout. Click here for a deep dive into the brewery, beer recommendations, and tips for visiting; or click here to visit Saloon Door’s official website. If you find yourself along the sandbar and in need of a pint, Galveston Island Brewing is a must-see when on the coast. The down island brewery offers award-winning ales and spacious digs that invite connoisseurs, families, and pets alike. Click here for a deep dive into the brewery, beer recommendations, and tips for visiting; or click here to visit Galveston Island Brewing’s official website. Although it wouldn’t make sense to visit all of the breweries around the Houston metro area on a single day, a multi-day or multi-week brewery crawl is a great way to explore Houston and many of its communities that are well outside of the Loop. 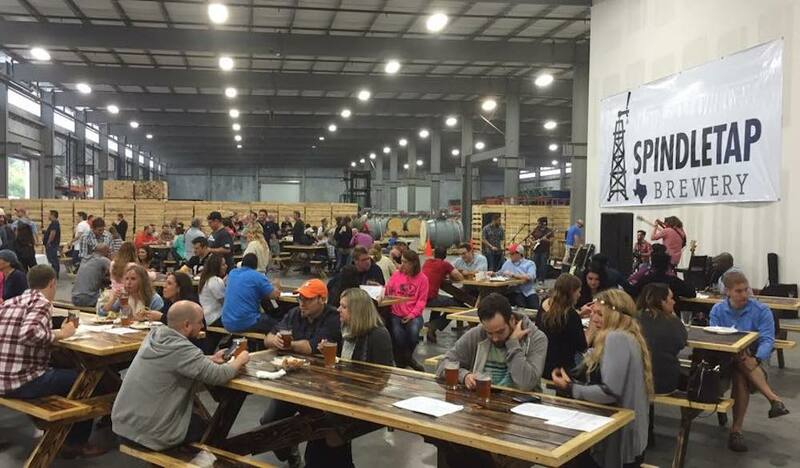 In addition to discovering the best breweries in Houston, you can find more fun in our interactive event calendar and weekly 365 Weekend Guide, including special events, celebrations, and parties at many of the Houston breweries listed here. Be sure to subscribe to our free Weekend Guide email to receive a round-up of great things to do this weekend in Houston in your inbox every Thursday. If you don’t want to miss a thing, you can also opt in to our Daily Update emails (emailed five days a week).